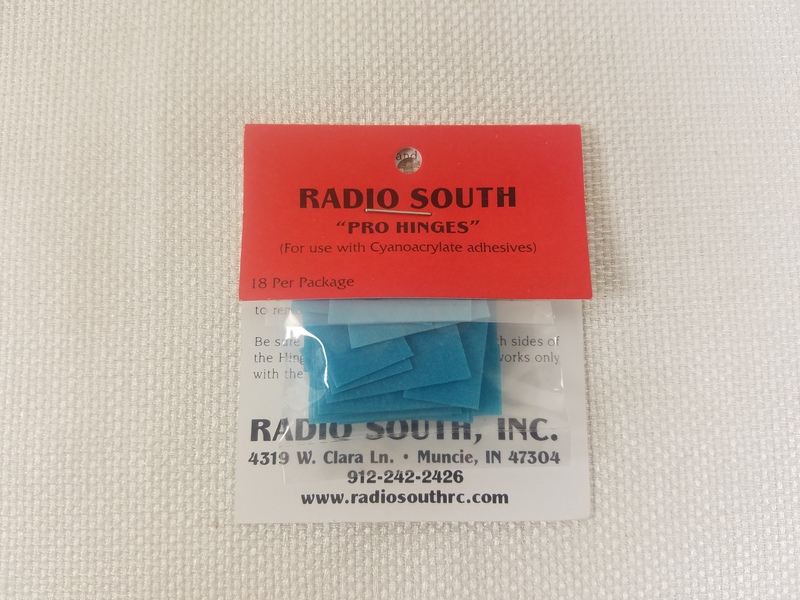 Radio South Pro Hinges are simply the best CA style hinges you can buy. They will outperform and outlast all other brands of CA hinges. This is a very inexpensive upgrade that we highly recommend as it will add to the longevity of your model. 18 hinges per package.